If you don't wish to receive future invitations, you can unsubscribe from review invitation emails sent via Trustpilot, and resubscribe to them if you change your mind. After a purchase or service experience with a company, you may receive an email inviting you to review their services. If the email was sent via Trustpilot's services, it should include a link to unsubscribe. 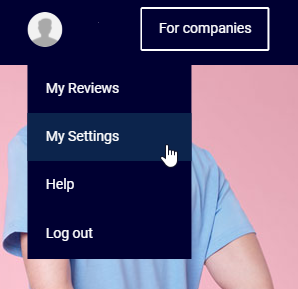 If you don't want to receive email invitations to review businesses on Trustpilot, simply click the unsubscribe link at the bottom of the email. You will then be directed to an onscreen confirmation informing you that you have successfully unsubscribed. Note: We're only able to unsubscribe you from review invitations sent using Trustpilot's systems, and this includes all companies using them. However, even if you've unsubscribed, companies may still be able to email you invitations through their own systems. You can also resubscribe to email invitations directly from your Trustpilot account. Log in to your account on Trustpilot.com and point to your name in the upper right-hand corner of the screen. Select My Settings from the drop-down list. 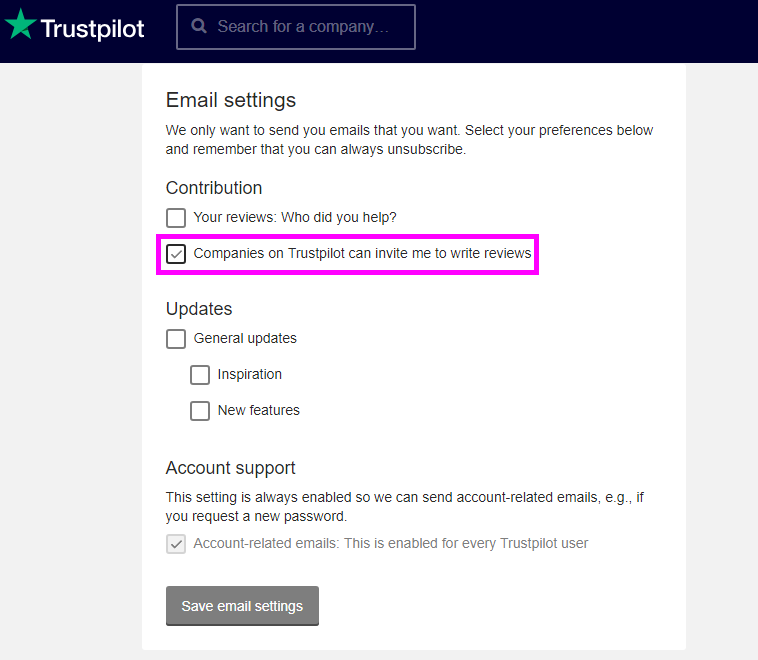 In the Email setting section under Contribution, select Companies on Trustpilot can invite me to write reviews. Select the Save email settings button. Can I unsubscribe from Trustpilot emails?